Turkish police to arrested journalist: You Armenian b*stard. Come on, write a report now! 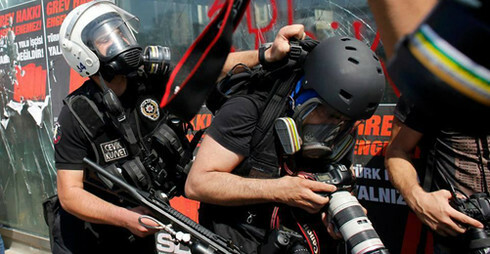 As a government-led crackdown on critical media outlets in the country continues at full speed, Turkish police teams on Sunday detained six more journalists during simultaneous raids in İstanbul and Diyarbakır. Police teams raided Çelik’s house in Diyarbakır’s Kayapınar district. According to a report by the Dihaber news agency, as soon as the family opened the door, Çelik’s mother and wife were made to lie on the floor.